Transform your photos and videos into stunning movies. 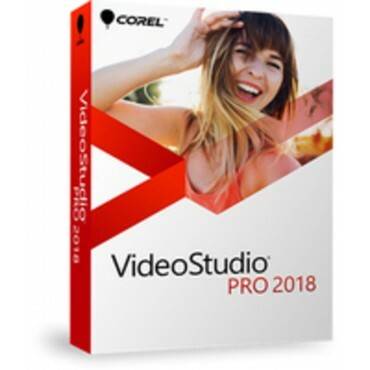 Corel VideoStudio Pro 2018 expands it’s award-winning combination of ease of use and breakthrough creativity with fun new features to help you tell your story. Tap into hundreds of creative effects, create elegant titles, show multiple videos simultaneously and more! Turn your memories into movies with VideoStudio Pro 2018. Edit HD, 4K, and even 360 videos to create great-looking movies.